Jeff Mills is going to be the first DJ to play in space. And it’s SpaceX designer and Tesla co-founder Elon Musk who’s making it happen. 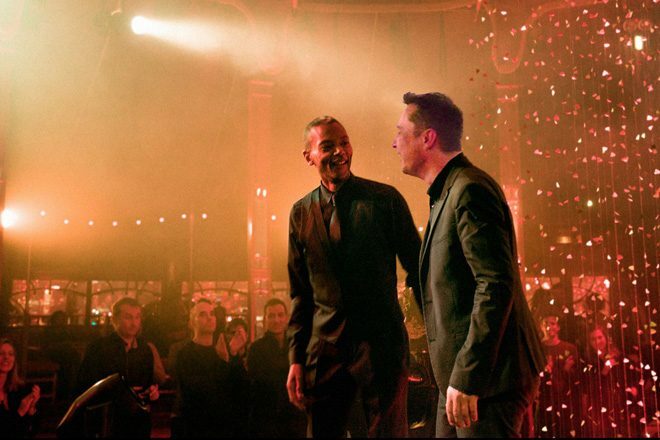 Musk, who sent a Tesla Roadster into space in February, reportedly caught wind of Jeff Mills’ recent hook-up with NASA and decided he was the right selector to be sent into outer space. Elon Musk, of course, sent his Tesla Roadster car into space in the Falcon Heavy rocket earlier this year, and Mills will go up in the specially made Falcon Heavy MKII, which is ready and waiting to take off from the Kennedy Space Center in Florida. The crowds who gather to watch such seminal launches from the center are also in for an extra special experience: the performance will be aired from a weighty Funktion-One rig situated close to the take-off zone, while custom Jeff Mills x NASA bomber jackets will be available from a pop-up shop. At a press conference earlier today, Elon Musk said: “I know there is a DJ called Intergalactic Gary who would also be suitable, but an early adopter friend of mine put me onto the NASA-associated NTS Radio shows Jeff has been hosting and I knew that he would be perfect for the job. Mills will play for approximately 12 hours in space before returning to earth, where 18 months will have passed in “real time”. Hold tight for more information and details of special Mills In Space viewing parties coming to a city near you in the autumn.